I’m late with this column this month for a variety of reasons: I wrecked my car, but managed not to injure or kill anyone. I wasn’t smoking my pipe at the time, which is probably as good a reason as any to find cause. Plus, my brain begins to miss gears like an old car without a steady dose of pipe smoke. Second, I have been fretful, ornery, and downright hard to get along with over the events of Hurricanes Harvey and Irma. I have some acquaintances in Texas and Louisiana, but I have several friends and some relatives in Florida. The power of Irma was not only awe-inspiring, but she was also like a dark, hovering wraith of brutality. These two events left me wondering about not just our friends and relatives, but also those who are in the pipe-making business. We have pipe makers and tobacco people and pipe smokers not only residing in the states mentioned but also living in Alabama, Georgia and South Carolina, other states hard hit by Irma. After checking on kinfolks and friends, I became concerned about those who bring us the best the world has to offer in pipes and tobaccos! Many major retail outlets dwell in Florida, South Carolina, Georgia, and Alabama, not to mention other states which felt the wrath of Irma: Mississippi, Tennessee, Kentucky, and North Carolina. 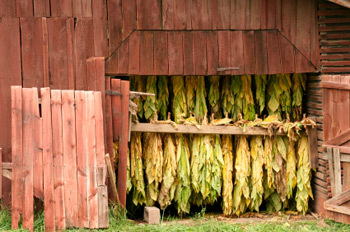 Some of the finest tobaccos in the world are grown in Louisiana, Tennessee, Kentucky, and North Carolina. 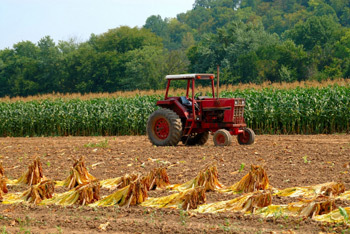 The harvest may be over, of course, but let’s hope that the farmers and fields that grow all that fine leaf hasn’t been damaged too badly through torrents of rain and wind, howling like banshees of another time and place. So, when we get to toting up the costs of storms like Harvey and Irma, let’s not forget our friends in the pipes and tobacco business. Some of the television images of Irma’s devastation in Florida left me shaken. The power of that hurricane has already been explored, but the full extent of the economic fall-out in terms of human cost is just now being counted. And not to be forgotten is the tremendous flooding that took place in Texas. Some great pipe smokers and retailers, not to mention legendary tobacco, reside in Texas and Louisiana. These natural disasters remind me of why you can never take a day for granted. Our lives can change on a dime. If I were to lose some of my prized pipes in a storm such as Irma, I would be thankful, of course to be alive, but devastated by the loss of those impossible-to-replace possessions. While other personal belongings are also prized, and perhaps replaceable, several of my pipes are one of a kind, collector material and can’t be duplicated. I’m sure many of us have those kinds of pipes in our collections that if washed out to sea or the nearest swollen tributary would be heartbreaking. I’m not trying to equate my pipes with family photos or mementoes that cut deeply into the emotions and personal history. And certainly not to life itself. No, I’m not saying that at all. Irreplaceable are lives lost, photos and dear keepsakes from our past. But for pipe smokers, many memories are associated with our pipes, just as photos bring happiness and fill our hearts with pleasant thoughts, that calmness Einstein mentioned. I just hope all of the people affected so devastatingly by these two great storms will be able to return to some sort of normalcy as quickly as possible. Finding normal again will be difficult, though. Death changes the landscape. For pipe smokers who lose all their pipes in tragedies such as storms, hurricanes, fires, tornadoes, normal may be a long time coming, if ever again. Pipe smoking is a brotherhood (and sisterhood). 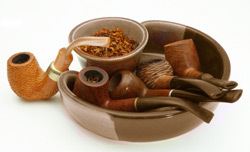 We relish being with and around other pipe smokers, enjoying conversation and the leaf in our own special way. We are, perhaps, as Whitman wrote, drifting, detritus along the shores, but always walking in the sunshine of hope. When that is no longer available, as it may be now in parts of Texas and Florida, I hope we can all offer up a special prayer for our brothers and sisters of the briar. It’s never easy when you lose someone or some treasure. You have the memories, sure. But being able to clutch that someone or treasure again and again is that human bond we all need. Hold a special thought for those who have come through these past hard days and nights. In the grip of danger or trying to survive in that "cone of uncertainty" meteorologists referred to repeatedly with Hurricane Irma, we embrace the light of what we once knew. That indomitable America spirit will prevail. That "can do" will rebuild and restore. We are resilient, strong, good, and honorable. We are all, as Whitman professed, part of the sands and the "drift." We may be baffled by what has taken place these past days and weeks. But, we will "merge as part of the sands and drift." This is where precious lives: precious life, precious memories, precious pipes alive in that electric vibe. Thanks for that sobering reminder of how Nature can, in a moment, remove what was so generously bestowed (and all too often taken for granted).